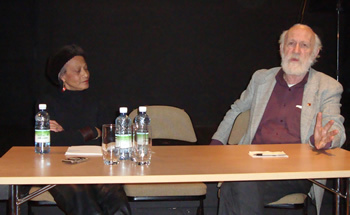 Elsie Haas, a Haitian journalist and former editor of the Haiti Tribune, spoke in Dublin’s Pearse Centre on Tuesday 28th February 2012 at an event commemorating the 8th Anniversary of the US-backed coup d’etat that ousted popular social democratic Lavalas President Jean-Bertrand Aristide. Since then Haitians have seen their standards of living plummet, particularly after the 2010 earthquake. Since the earthquake Haiti has been a victim of ‘disaster capitalism‘, and now suffers under a UN occupation, headed by Brazil. 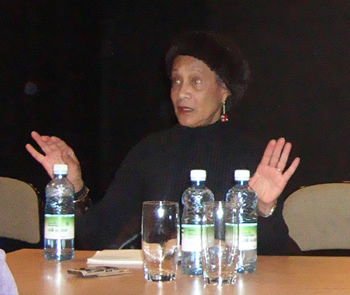 Elise gives an account of Haitian history, the situation today, hopes for the future and what we can do in solidarity with the Haitian people who have struggled against slavery and imperialism for over 200 years, and never been forgiven for being the the first ‘black slave republic’. 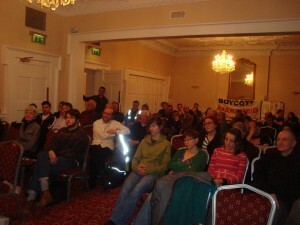 The talk, which was Chaired by Sean Edwards of Haiti Solidarity Ireland, is in two parts. The first part is from the meeting, and can be downloaded by clicking here (mp3, 90mins). The second part comes from after the meeting. I asked Elsie to clarify what “official” rationale was used to prevent Aristide’s Lavalas party gaining permission to run in the last election in the country. The short segment can be downloaded by clicking here (mp3, 3mins). 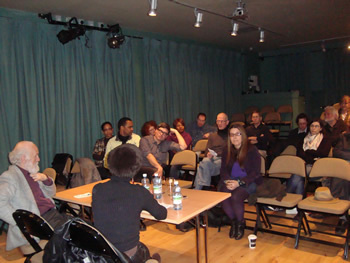 The talk was organised by Haiti Solidarity Ireland and the Latin America Solidarity Centre as part of a week-long series of events to mark the 8th Anniversary of the US coup against President Aristide. Using the cover of the EU/IMF austerity deal, the government announced the imposition of an annual tax of €100 on households. In September, a national meeting of the Campaign Against Household and Water Taxes was held, at which over 200 people from 16 different counties initiated a movement that will fight this new tax through non-payment. This campaign includes virtually all left-wing organisations, with the exception of Sinn Fein. Campaign steering committee member Gregor Kerr says, “it is clear this is just the thin end of the wedge. John Fitzgerald of the ESRI said the approximate annual take should actually be about €1,350 per household. If the government gets away with this initial €100, we’re looking at it rising to €1,300 per household within two years. It’s just another way of extracting more tax from ordinary people, which will go straight into the banking bailout black hole. On top of this, there is Irish capitalism’s privatisation agenda. Therefore, the campaign is organising for people to unite against this tax, to stand up and say ‘No! We won’t pay’”. The campaign seeks to build a national movement that will “get the idea of non-payment out into communities quickly, even before the bills arrive, so there’s already a feeling that nobody’s paying, neither will we”. The aim until January is “hosting public meetings and building local non-payment campaigns, with the goal of having open and democratic campaigns in every community. It’s got to be much bigger than the existing Left. 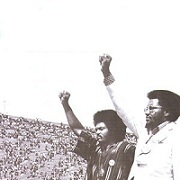 If we’re to defeat the government we need to turn people, who may never have done anything political before, into organisers in their own areas”. 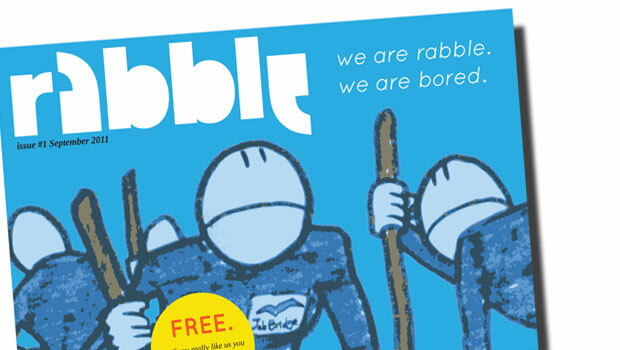 Rabble, Ireland’s newest and best non-party culture/politics freesheet has published a couple of articles about Irish comics (the type you read) that I wrote on their website. Hoepfully I’ll be contributing more frequently to this mag, which is one that is definitely worth supporting! 1 – Now Now Stolen Cow: The Cattle Raid of Cooley Webcomic – an interview with Belfast comic creator Patrick Brown, about his epic (in both senses of the the word) online interpretation of the Táin Bó Cúailnge. Just a heads up that the new issue of LookLeft (#8) is now in the shops (including every Eason’s nationwide). 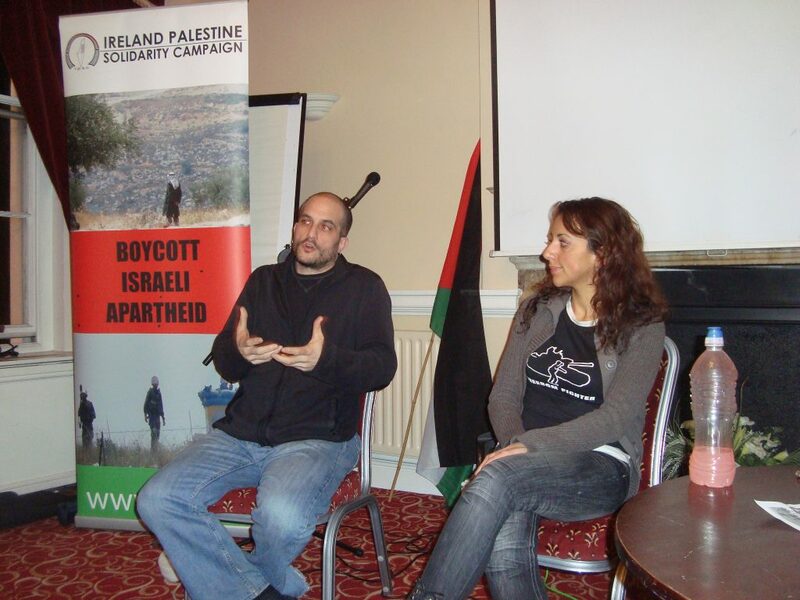 I’ve got three articles in it – one about the Campaign Against Household and Water Taxes and two reviews of Debtocracy and Jewish Identity and Palestinian Rights. Go pick up a copy. Also, keep an eye out for the upcoming new issue of No Quarter (#6, Anti-Fascist Action’s magazine) in which I will have an article on the ultra-right in Israel. A toxic Triangle – Gavan Titley examines the media’s role in the growth of Islamophobia. June saw the opening of Ireland’s first dedicated football fashion and revolutionary casual-wear store. 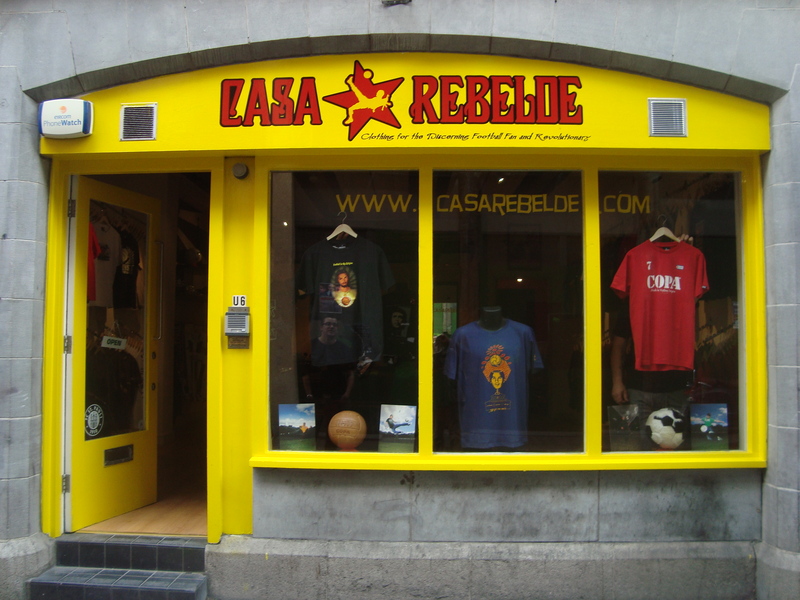 As its tagline indicates, Casa Rebelde, located on Crow Street in Dublin’s Temple Bar, is dedicated to supplying quality, affordable European style “clothing for the discerning football fan and revolutionary”, something that has long been lacking in Ireland where overpriced jerseys seem to be all we can buy. Along with famous brands like Copa (Holland), Partisano (Catalonia) and Fire & Flames (Germany), it also stocks retro jerseys and their own unique line of ‘sports-revolutionary’ t-shirts and posters featuring legends like Paul McGrath, Mohammed Ali, Johnny Giles, Che Guevara and Cristiano Lucarelli. Casa Rebelde is also Ireland’s only official stockist of merchandise from Germany’s famous anti-fascist club FC St. Pauli. Michael Dixon, the shop’s owner, told LookLeft: “This is my way of sticking up two fingers to those who say sport and politics don’t mix. Just because sporting bureaucrats want us to believe it, it doesn’t make it true. Besides, there’s no reason why football fans shouldn’t look stylish too”.